Northern Indian rivers are primarily fed by wintertime (December, January, February—DJF) precipitation, in the form of snow—yielded by eastward moving synoptic weather systems called Western Disturbances (WDs), over the western Himalayas (WH). This accumulated snow melts during ablation period. 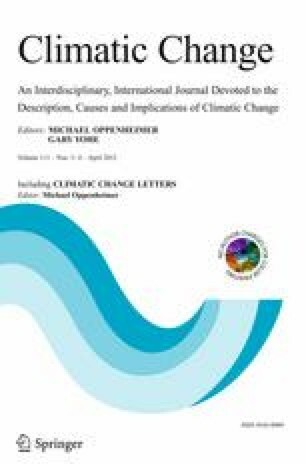 In the context of today’s warming atmosphere, it is imperative to study the changes in the temperature and precipitation patterns over the WH to assess the impact of global warming on climatic conditions of the region. Keeping that in mind, observational analysis of temperature and precipitation fields is planned. In the present study various climatic indices are analyzed based on wintertime (DJF) data of 30 years (1975–2006) obtained from the Snow and Avalanche Study Establishment (SASE), India. Results indicate enhancement in the surface air temperature across the WH. Percent number of warm (cold) days have increased (decreased) during 1975–2006 over the WH. Further analysis of precipitation reveals slightly decreasing but inconsistent trends.